The most complete guitar tuning method ever published. 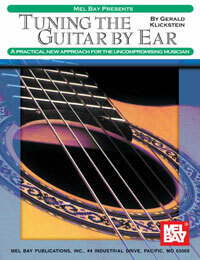 Written by one of America's leading guitar teachers and designed for all guitarists, from beginners to professionals, this book offers a practical new approach to tuning the guitar. This system is equally effective for all types of guitars and even includes the principal alternate tunings used in classic guitar performance: dropped-D, low-G (DGDGBE), and the lowered third string (G to F#) but otherwise normal tuning often used to emulate the lute or vihuela. Using the principles described in this book and conveyed purely through diagrams, any guitarists can learn to tune with precision and confidence.